If you’re familiar with file transfers then you’ve probably heard of File Transfer Protocols (FTP) at one point or another. FTP is the name given to a group of protocols that are used to transfer files across a network. One of these protocols is called Trivial File Transfer Protocol (TFTP). TFTP is a lightweight file transfer protocol that allows you to transfer files to and from a remote server. Many are wary of TFTP transfers because they are unencrypted and unauthenticated. The lack of authentication means that TFTP is somewhat lacking in terms of security. It is this lack of security that has led many to proclaim that TFTP is an outdated protocol. While it may be outdated, TFTP continues to endure as a popular FTP protocol to this day. The main reason is that it doesn’t require much memory or disk space in order to use. Despite its importance you’re unlikely to encounter a dedicated TFTP server. Some of the few places you’ll find TFTP servers is in devices like routers and mobile phones. TFTP is used within these devices because it provides a way to transfer firmware files. 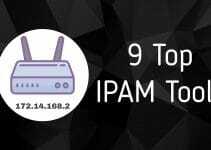 In this article we’re going to look at some of the top TFTP tools for 2019 (including a bonus historic TFTP server!). Devices have been broken down into TFTP servers on Windows, Linux and Mac. If you’re in need of a free TFTP server then it doesn’t get any better than SolarWinds TFTP Server. SolarWinds TFTP Server is a TFTP server available for windows that allows you to transfers files up to 4GB. This provides you with a reasonable amount of bandwidth to conduct file transfers in an enterprise environment. SolarWinds TFTP Server has been designed specifically to help you back up configurations and push firmware updates to devices throughout your network. SolarWinds TFTP Server works by getting you to authorize a clear range of IPs to conduct a file transfer to and from. The user interface makes this process relatively simple. While the design is a somewhat of a throwback it is clear enough for you to run transfers effectively. Overall we recommend SolarWinds TFTP Server for organizations looking for a low cost TFTP server. SolarWinds TFTP Server is not only easy to use but it is also reliable too. The only drawback is that it is only available as a Windows service. If you’re interested in downloading SolarWinds TFTP Server for free then you can do so from this link here. TFTPD32 is one of the most widely-used TFTP servers in the world right now. The antiquated user interface has done nothing to dampen interest in this classic Windows utility. This free product comes with a mix of DHCP, TFTP, DNS, SNTP, and syslog servers. This makes it versatile as far as protocols go. Despite what the name might suggest, TFTPD32 isn’t a one trick pony either. It offers a range of additional features like a directory facility and progress bars to show you how your transfers are moving along. It is worth noting that the DHCP server provides automatic and static IP address assignment as well. Overall this is a program that is well worth considering if you’re looking for a Windows-based TFTP server. While you won’t be blown away with the user interface, this isn’t a problem because outdated designs have become characteristic of most TFTP servers at this point. TFTPD32 is also available as a 64-bit application called TFTPD64. TFTPD32 can be downloaded from this link here this link here. Adding an extra dose of production value to our list is Spiceworks TFTP Server. Spiceworks TFTP Server is undoubtedly the most aesthetically pleasing TFTP server available right now. This program was designed as a network management tool that is used to keep your devices updated from a centralized platform. As such it is a good choice if you’re aiming to continually upgrade the firmware of devices throughout your office. This TFTP server is a little different then many other run-of-the-mill TFTP platforms for a number of reasons. For instance you receive alerts once something changes in one of your devices.This gives Spiceworks TFTP Server a limited monitoring ability. You can also backup network configurations and restore historic settings if you need to revert to an earlier point in time. We recommend SpiceWorks TFTP Server for administrators looking for a fully-featured and modern TFTP server. The user experience is one of, if not the best, of any TFTP servers online. Spiceworks TFTP Server is available for free and can be downloaded from this link here. WinAgents TFTP Server is a multithreaded TFTP server with a classic design. What makes this product noticeable is that it has been designed to work 24/7 background mode. In other words administrators don’t need to manually monitor this utility in order to conduct transfers. Windows TFTP Server is also compatible with RFC1350, RFC2347, RFC2348, and RFC2349. This TFTP server is also quite secure compared to a number of platforms. 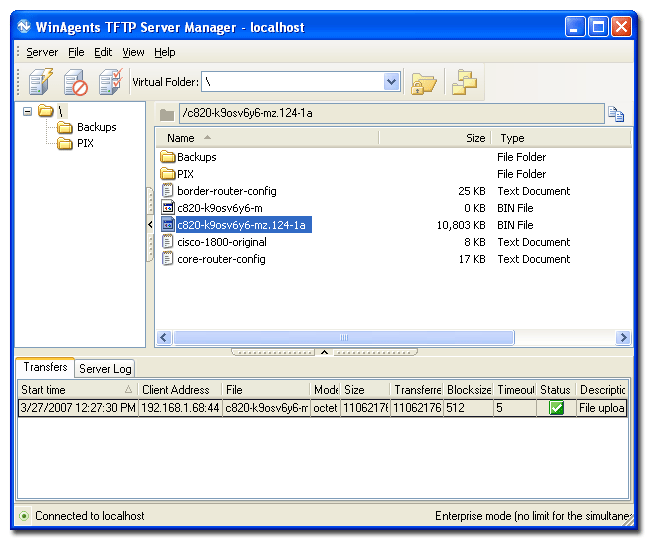 WinAgents TFTP Server utilizes IP-based access control. Users’ access to files depends on their IP address. This means that unauthorized users with non-permitted IPs are unable to access transmitted files. That being said the security on this product doesn’t make it unwieldy. For example, files can be transmitted through one UDP port through a firewall. When dealing with a large team this server is an excellent choice because it allows you to create virtual TFTP folders. Virtual TFTP folders can be configured to permit access to different users. You can thus restrict employees’ access to files based on what is relevant to them. This is a nice feature that makes it easier to work within a large team. You can also remotely configure the server if needed. This is a great full-featured TFTP server for Windows. It supports 64-bit and is available on Windows 2000, XP, 2003, Vista, Windows 7, and 2008. While the user interface does brandish an aged appearance this platform is still relevant in the world of TFTP servers. WinAgents TFTP Server can be downloaded for free from this link here. It is easy to forget that Windows has its own TFTP utility called Windows TFTP Utility. This rudimentary TFTP server is so lightweight that there little configuration. What you see is what you get, and this has the advantage of allowing you to conduct fast and clear file transfers. However the simplicity of Windows TFTP Utility is a double-edged sword. Not being able to enter in your own configurations means that your transfer ability is very rudimentary and stuck in the mud. The reason for this is Microsoft’s .NET framework. The biggest limitation is that you can’t pick which interface the server will connect to which means it accepts all incoming connections. In spite of its limitations Windows TFTP Utility does have its place in the TFTP market. If you’re looking for configurability and security then this isn’t the platform for you. However, if you require an application that is lightweight and easy to deploy, then you should consider using Windows TFTP Utility. Windows TFTP Utility can be downloaded from this link here. haneWIN TFTP Server has made the rounds as one of the most popular TFTP servers available. 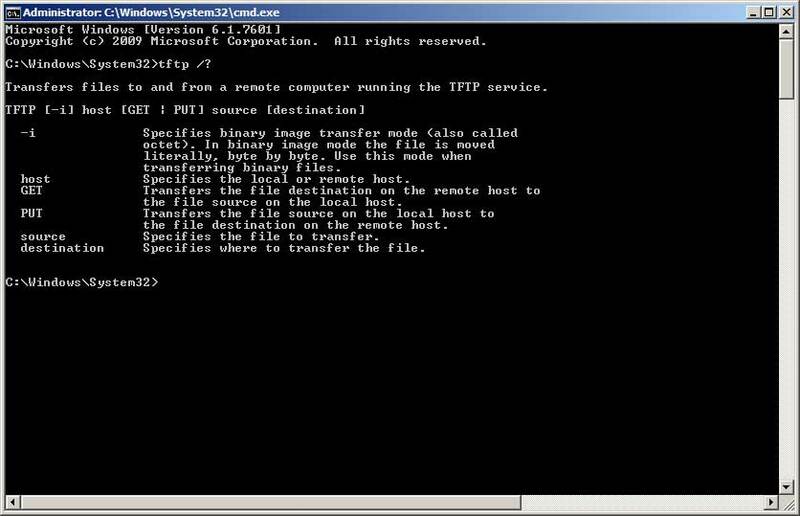 TFTP server is operated through both a GUI and a Command Line. It is thus extremely easy to use even if you’re completely new to using TFTP servers. 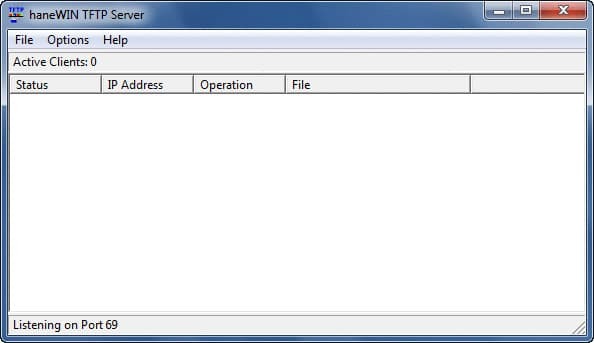 haneWIN TFTP Server has been designed as a multithreaded application with support for TFTP multicast operation. Users of this product have a considerable degree of control over who has access to files. There are access controls and the user can restrict IPs to running downloads or uploads. While this isn’t an extensive list of security features it is just enough to add an extra level of scrutiny and security. 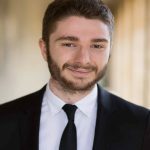 As far as TFTP servers go, haneWIN TFTP Server deserves its reputation as one of the best available. The mix of GUI and a command line is sure to please most users. This TFTP server functions with both 32-bit and 64-bit Windows on XP, Vista, 7, 8, 10 and 20xx. haneWIN TFTP server is available to download via this link here. aftpd uses a familiar command line syntax which makes it easy to adapt to quickly. There are a variety of common commands such as —mcast-port and —port which allows you to actually use the program. In terms of security you have a couple of options. The main way to increase the security of atftpd is to use libwrap support. Using /etc/hosts/allow and /etc/hosts.deny will allow you to determine which hosts are allowed access to files. While aftpd is more complex to install when compared to a Windows product, as far as Linux TFTP servers go the process is relatively straightforward. This TFTP server is popular enough that there is a wide community of users behind it so if you get lost along the way there are plenty of people to help you. Nine times out of ten we recommend that you try atftpd first before deploying ttpd-hpa. It is a little easier to use and configure than tftpd-hpa. That being said if you’re unable to operate aftpd or simply don’t like the server then tftpd-hpa stands in as a welcome alternative. The source package for tftpd-hpa can be downloaded from this link here. Yes Cisco TFTP Server has become a relic of the past, but once upon a time it was the first TFTP Server available. We’ve included Cisco TFTP Server as an honorary mention as it laid the groundwork to modern TFTP servers all the way back in 1995. With Cisco TFTP server you could view interfaces, DHCP services and run most of your administration through the user interface. Even though this classic did make modern TFTP servers what they are now, it was prone to some serious vulnerabilities. 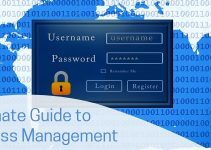 One of the most well-known is that unauthorized users could gain access to files without any authentication. In spite of its flaws we thought it important to mention this historic product. Cisco TFTP Server has been discontinued now and isn’t distributed by Cisco. This isn’t to say that you can’t get hold of it, just that you can’t do it through Cisco. Cisco TFTP Server is available for Windows 98/Me/2000 and XP. 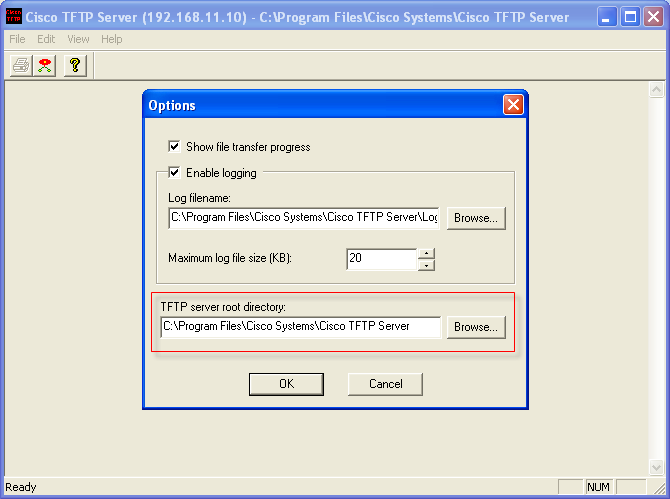 Cisco TFTP server can be downloaded from this link here. Why Do I Need to Use TFTP? 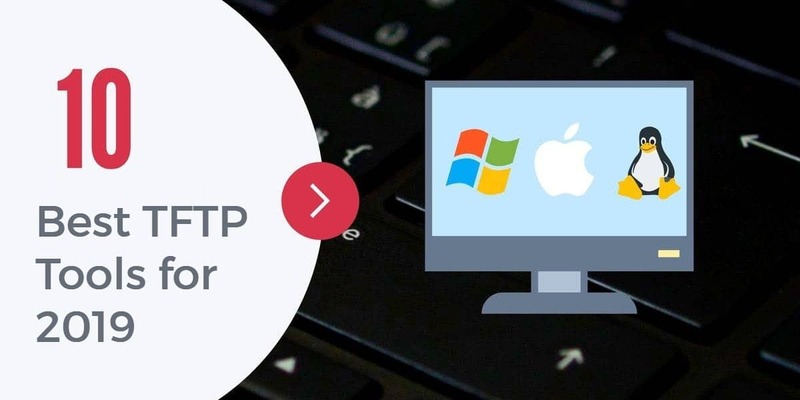 Now that we’ve taken a look at some of the best TFTP tools the market has to offer, it’s time to take a look at why TFTP is important. While TFTP is showing its age it offers users a way to transfer files with the User Data Protocol (UDP) rather than the Transmission Control Protocol (TCP) that is commonly used today. As a lightweight file transfer service TFTP allows the user to dole out configurations on a LAN quickly. This is mainly used for firmware updates on devices connected throughout the network. Administrators commonly use TFTP to maintain switches and routers by either backing up configurations or upgrading firmware. TFTP is used in this format because you can send these instructions through a relatively secure private network without having to interact with every connected device. In short, TFTP is useful for keeping your network up-to-date efficiently. It offers one of the most efficient ways to transfer files across a LAN. While TFTP is not the most secure format in the world, the relative protection offered by operating on a private network does add a layer of security to the process. While many people suggest that TFTP’s best days are behind it, it still has a place within an administrator’s play book. Even though TFTP servers aren’t the most cutting edge way to transfer files across an enterprise network, they are still useful. If you need to backup configurations or push firmware updates in a lightweight format then you should definitely consider deploying a TFTP server. The lack of security on TFTP servers is not a massive problem as long as you restrict TFTP transfers to a private network. The biggest determining factor on what TFTP server you deploy should be your organization’s needs. For example, if you need to conduct a substantial volume of file transfers then a server like SolarWinds TFTP Server would be a solid choice. SolarWinds TFTP Server supports up to 4GB file transfers which is enough to keep up with most administrator’s needs. Another top choice is Spiceworks TFTP Server. Spiceworks TFTP Server is worth consideration based on its excellent user experience alone. However its alerts system is what really sells this product. Receiving alerts when a device changes allows you to turn your TFTP server into a monitoring environment as well (without having to sacrifice time spamming commands to check up on devices! ).